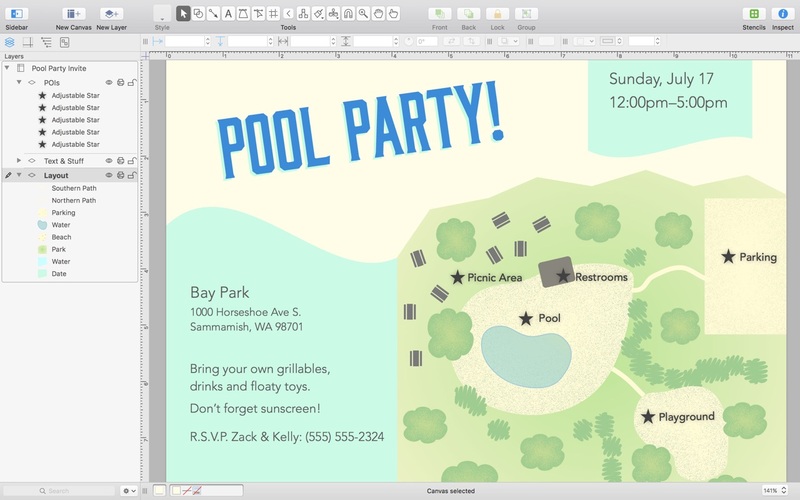 OmniGraffle 7.9 – Create diagrams, flow charts, and more. OmniGraffle helps you draw beautiful diagrams, family trees, flow charts, org charts, layouts, and (mathematically speaking) any other directed or non-directed graphs. We’ve had people use Graffle to plan plotlines for a story, make an overview of an operating system, show the evolution of computers, and even show how diseases can spread in a closed population. If you want to organize your thoughts, your projects, or even your friends graphically using boxes and lines, OmniGraffle is your tool. Next story SuperDuper! 3.2 – Advanced disk cloning/recovery utility. Previous story Mindjet MindManager 11.2.111 – Professional mind-mapping and project-management. Balsamiq Mockups 3.5.15 – Collaborative wireframing for app development.